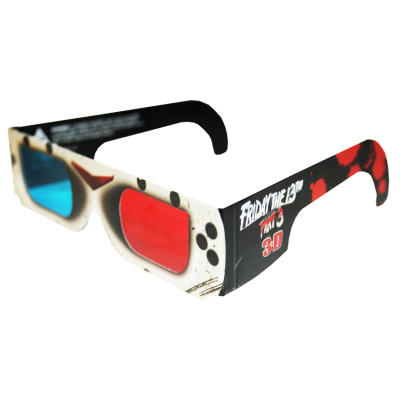 Friday the 13th - American Paper Optics manufactured a special 2 pack of 3D Anaglyph glasses for the re-release of Friday the 13th Part 3. The 3D version of the film was released for the first time officially on the Deluxe Edition DVD on February 3, 2009. 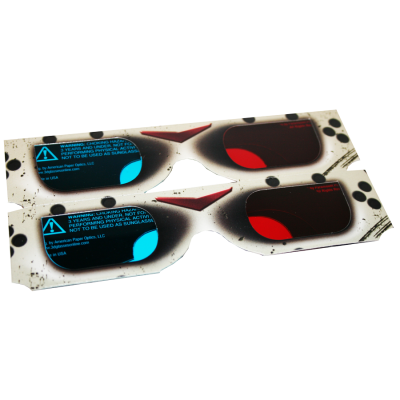 The Deluxe Edition includes the 2D and 3D versions of the film and 2 pairs of our Anaglyph 3D glasses.